A basic understanding of React and Node.js are needed to follow this tutorial. Every chat application requires real time functionality. This amongst other benefits allows interaction between users in different location(s). A chat application like this can be built to function on diverse platforms, be it mobile or web applications. In this tutorial, I will be showing you how to build a chat application using React and Pusher. This is a very simple application and it comes with functionality which will be showing some of the rich features of Pusher and how you can easily combine it with a modern library like React. Pusher is a platform that allows developers to easily build an application with realtime features as quickly as possible. Pusher specialises in building realtime and scalable infrastructures for developers and is packaged with powerful features like client events, queryable API, Pub/Sub messaging and others. We will explore Pusher as we proceed in this tutorial and leverage on the DOM manipulation, event driven and data-binding ability of React. For a hitch-free flow of procedures in this tutorial, we will begin by setting up the required credentials with Pusher. If you don’t have an account, kindly create one . Once you are done, go ahead and create a new app from your dashboard. Don’t forget to take note of your app_id, key, secret and cluster as you will be required to use them later in this tutorial. 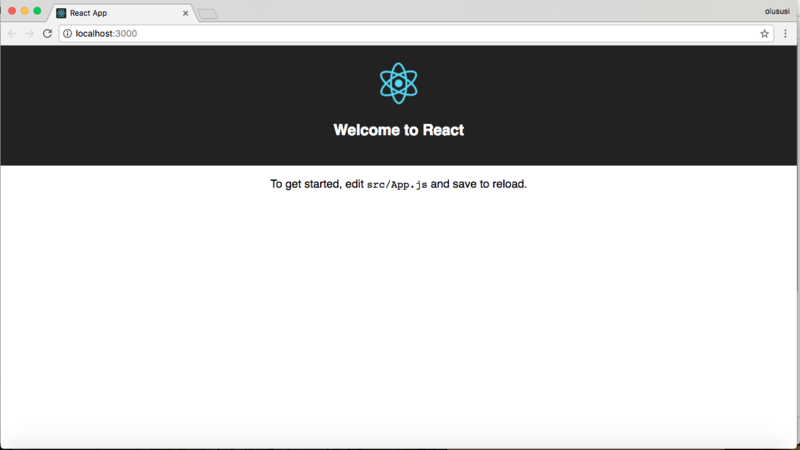 To quickly scaffold a React app, we will make use of the create``-react-app tool. This gives us easy access to the CLI tool that will be used to start building our chat application. The version for each one will be displayed, if they are installed. The latest versions are fine. We have successfully set up the front-end of the application, we will return to this very soon. Let’s proceed to setup the server application. Here we initialised Pusher with the required credentials and then created an endpoint to process messages from the frontend of our application. To define a good application structure and fully see our chat app in action, lets create some components. In React, components can either be stateful or stateless depending on the functionality that it was created for. The common patter is to have state for container components only and pass those states to UI components as props. We have successfully completed the ChatBox and ChatList component. As far as the application is concerned, these modules are not yet available to be rendered in the parent app component yet. To correct this, the A``pp.js file needs to be configured. In case you missed anything, you can find the complete App.js file right here. This article has covered the basic steps necessary to create a realtime chat application using React and Pusher. Moving forward, the concept demonstrated here can be built upon and extended to cater for any other realtime features you wish to build in your application. I hope you have found this tutorial helpful and feel free to improve on the code available here and drop comment(s) below, if any.